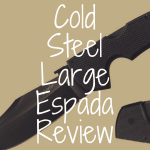 This article is going to be an in-depth review of the Ti-Lite blade by the famous company Cold Steel. 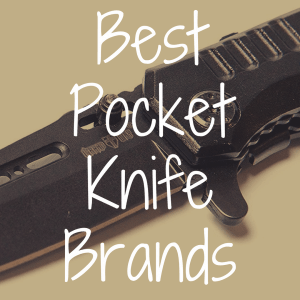 I will go over everything from the quality of blade, handle, and overall ergonomics to how well this knife compares to the likes of the Cold Steel Spartan and Counterpoint Series. But first, below, please compare the Cold Steel Ti-Lite to a handful of other great Cold Steel blades. The Italian stilleto-bladed “switchblade” knife carries a certain mystique, even in modern times. The long, lean blade, and sinister “snick” when opened invokes many menacing mental pictures. Italy made many switchblade knives for military use during WW-II. Returning GIs brought them into the US as war souvenirs. Post-War Italy found a ready market in the US and began to produce cheap versions of these knives to unload onto the American public. Movies and Television depicted them as a gang members secret weapon, even though they were no more dangerous or deadly than any other pocket knife. Politicians were quick to begin passing laws against importation and carrying of these automatic pocket knives. By the 1970s, importation of all automatic knives from anywhere outside the US was banned outright. You can still have one, if you can find one, but if you take it with you outside the US, say to Canada, or Mexico, you can’t bring it back into the US with you. Cold Steel has a good reputation for making their interpretations of some famous historic-styled knives, such as the Canadian Belt Knife, the Pukku, the Roach Belly, the Kukri, etc. While not a real switchblade, Cold Steel does offer a nice rendition of these Italian stilettos called the Ti-Lite Series. The difference is that Ti-Lites are perfectly legal to own and carry—well, depending on your jurisdiction. They have no automatic opening mechanism whatsoever. 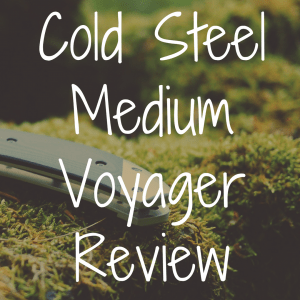 Like all other Cold Steel offerings, they are way over-built and their performance far outstrips the originals. To all appearances, the Ti-Lites look like Italian Stilettos. They have a long, narrow spear-point blade and a drilled-out handle, just like the originals. 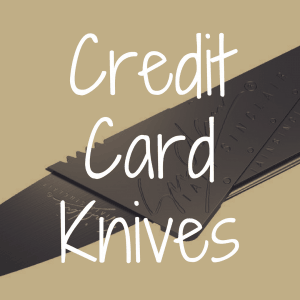 They come with either a 4” or 6” blade, and either Zytel or Brushed Aluminum scales. Weight: 4.6 oz | Weight: 4.6 oz. *Also available with Zytel scales, at a reduced cost and slightly less weight. As I said earlier, these are not actually switchblades. They have no mechanical opening system, and are completely manually-operated. They have Cold Steel’s spring-lock system. I tested one of these with weights and the lock failed at 130 lbs., considerably more than any real switchblade would have been able to withstand. The Ti-Lites are definitely high quality pocket knives. As such, they are perfectly legal to carry everywhere, except for blade length restrictions, or other prohibitions. Please do your research when it comes to laws in your area before you buy any knife. 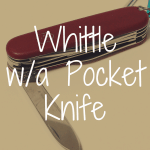 Switchblades were designed to be mostly stabbing weapons, and have little use as anything else. The long, thin blade will slice and it can cut small rope, tape, open boxes, letters, etc—but it does not have enough spine to do any real serious cutting or chopping. Ti-Lites are tougher, but still have the same basic limitations. There is hardly any belly to the blade, nor is there any offset to aid in chopping. This is not a bushcraft knife. It is an offensive/defensive weapon, and little else. The thin spearpoint blades are made of Carpenter CTS XHP, which is one of the newer “super-steels” that Cold Steel is gravitating to. The Zytel models have AUS 8 blades. Both steels have excellent edge holding capabilities. The blades can be opened in the blink of an eye either by catching one of the quillions on the edge of your pocket, and the blade will snap open just from the action of you drawing it, or you can push the thumb stud forward, and the blade will snap open from inertia. (Bad news for left handed users—the thumb stud is only for right-handers, and not adjustable). Both methods are much faster and more reliable than any mechanical system. The spring-lock engages smartly and solidly every time. 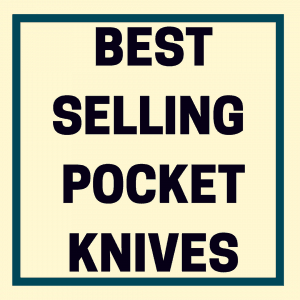 There is a pocket clip that holds the knife securely to your waistband, but again, not ambidextrous. For what this knife is designed for, stabbing and thrusting, it is as good as any other similar design, and better than most. The lock and blade are very strong. And the intimidation factor is at the top of the scale. This is a scary-looking knife. For cutting, and other normal tasks, this would not be a first choice. There is little belly to the blade to aid in slicing and cutting, the blade is narrow, so you won’t have much steel backing the cutting edge, and the handle shape is not very ergonomic for cutting grips. It is designed mostly for use with the Hammer, and Ice-Pick grips. Aluminum vs Zytel…Which Is Better? Ages horribly. Your knife will look really ugly in just a few years. The aluminum scales version cost almost twice as much as the Zytel models, so I guess it just depends on how much you like aluminum. All I can say is that, according to Cold Steel, the Zytel versions outsell the aluminum ones by a significant margin, but there are more than enough sales of the aluminum handled models to be worth continuing production. My suggestion: Get what you want and like. I personally have never noticed any significant advantages of one over the other. How Does It Compare To Similar CS Knives? The next closest knife to the Ti-Lite series in Cold Steel’s line-up would be the Counterpoint Series. These are designed to be a sort of a folding “boot” knife. Like the Ti-Lites, it is designed as an offensive/defensive weapon, rather than a tool. It has a dagger-like spearpoint blade, albeit much wider than the Ti-Lites. Also like the Ti-Lites, the blade is not much good for anything but stabbing and some light cutting. The blades are all Carpenter CTS BD-1 Super Steel. The scales are Griv-Ex polymer, which I prefer over aluminum, but that’s just me. It comes in 3 sizes, but to be fair, I am only comparing the Counterpoint 1 and Counterpoint XL, because the blades are the same lengths as the Ti-Lites. The Counterpoint 2 has a diminutive 3” blade. One thing the Counterpoint Series has that the Ti-Lites don’t is Cold Steels Tri-Ad Lock system, which is the strongest in the industry. When testing this lock, I had to quit at 320 pounds, because I ran out of weights. Comparing the Ti-Lites and Counterpoints is like apples and oranges. Functionally, I can’t see a lot of difference between the two. Personally, if I just wanted to intimidate a would-be attacker, I’d pick the Ti-Lite for it’s “WOW factor.” If I were going to actually use the knife in combat, I’d pick the Counterpoint because of the stronger lock. The Spartan, on the other hand, is a serious knife. Its 4-1/2” blade with the double S curve is enough to give Freddy Kruger nightmares. With the Spartan, you are basically getting a miniature folding Kukri. The Double S curved blade has unbelievable shearing power and makes deep, wicked cuts in everything from hemp rope to bamboo to thick nylon strapping. It cuts through seat belts like they are made of hot butter. Even a nick from this blade can result in a serious wound. The point is more than strong enough to pierce through a car rooftop. The handle is designed so that it is next to impossible to drop the knife, in either a forward, or reverse grip, and it can also be used with the blade closed for non-lethal applications. It has the Tri-Ad lock system, so if you break the lock, you have really done something. The scales are Griv-Ex, and the blade is BD-1 super steel. And lastly, it has an ambidextrous thumb stud and pocket clip. This is possibly the ultimate EDC knife. Comparing this to a Ti-Lite is like comparing an MG Midget sportscar to a Trans Am. The Ti-Lite has the edge on the fun factor, but the Spartan wins in every other category. It mainly comes down to what you want to carry, and what you are comfortable with. The Ti-Lites are excellent knives for what they were designed for, and well worth the money. 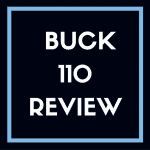 As a back-up, or last-ditch defensive weapon, they are as good as it gets, unless you are a Southpaw. Newer models may incorporate an ambidextrous thumb-stud and pocket clip. Cold Steel is always trying to improve their models. What’s the Best Cold Steel Knife for EDC?